Some of the most luxurious living spaces are those that are within natural environments. Indeed when you think about resorts, it is the most luxurious that are on top of the water, and for good reason. When exploring the best overwater resorts we often are tempted by the best of the best, but of course you have to be able to pay for it. But what if there was a cheaper, equally luxurious alternative? Like 11 Cheap overwater bungalow resorts from around the world? Sometimes the classics are some of the best, and it can’t be denied that the Maldives have some of the best overwater bungalow options. In the low seasons the Medhufushi Island Resort will put you back US$311 or US$529 during peak times. The resort is cheaper than the rest of the Maldives because it is located off the main island, being around 130km from Malé. The best time to go is around February to April, but of course you will have to be willing to pay for it. 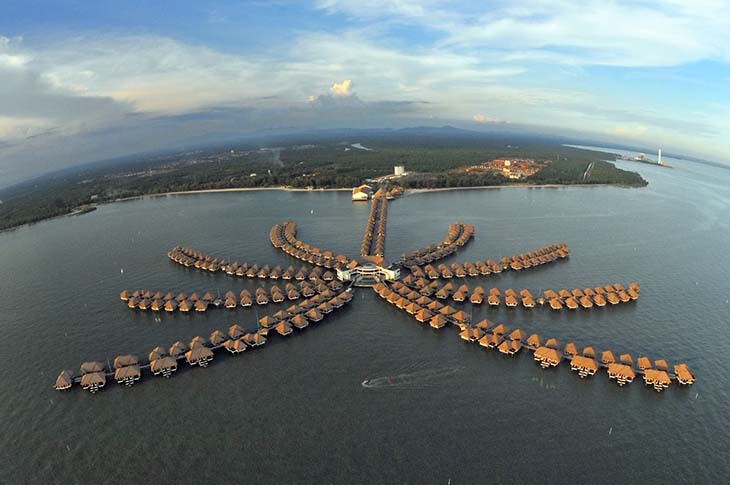 One of the largest series of overwater bungalows, the AVANI resort in Malaysia offers amazing views over the water and beautiful rooms. In the low season expect to pay around US$147 and US$163 for peak times. The downside to this resort is that it is very difficult to get back into the main region of Malaysia. However to try and help this there are lots of differing activities to do such as dirt biking and archery. The best time to go is around February all the way to August, as this is considered the dry seasons. This beautiful resort in Tahiti has incredible views out over the water, and has a great backdrop of palm trees and other spectacular greenery. During the low season you can expect to pay US$409 and in the high season expect around US$469. Some complain that the facilities are slightly out-dated, but this is a view held by very few. The best time to visit Tahiti is around May to October. Located near to Tahiti and Bora Bora this hotel has all of the views that the best hotels have but for a fraction of the price. The resort is by no means fancy; however the rooms are clean and comfortable and give you everything that you need. Expect to pay around US$411 yearly. The downside to this resort is that the rooms are out-dated and not as nice as other resorts in Bora Bora or Tahiti. The best time to visit is around May to October. Yet another beautiful resort in Tahiti, the Sofitel Moorea Ia Ora Beach Resort offers beautiful overwater bungalows for a relatively low price. You have to get in early though, as prices vary largely during the high and low seasons. During the low season expect around US$414 compared to the high season of US$732, obviously seasonality is a big issue and if you can take the wetter weather than this might just be a great deal for you! Peak seasons are May to October. 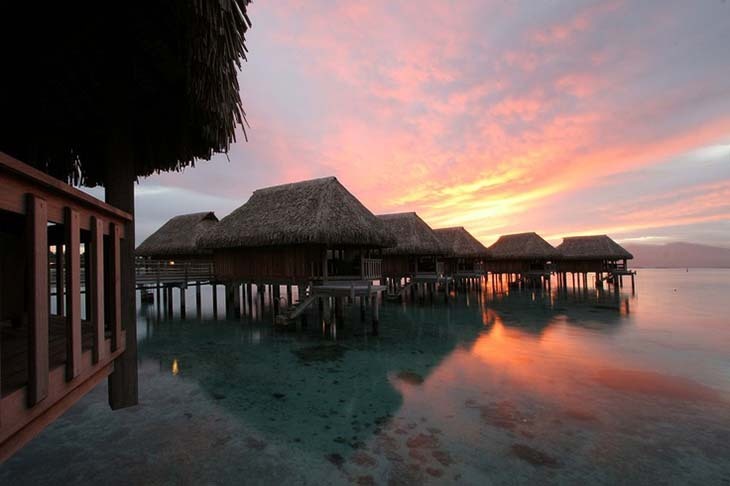 The Tikehau Pearl Beach Resort has 24 overwater bungalows with two different room options. No matter what room you get expect lots of 4-star services and luxury and great views over the light blue waters. In the low season expect to pay around US$394 with a high season starting at US$620. 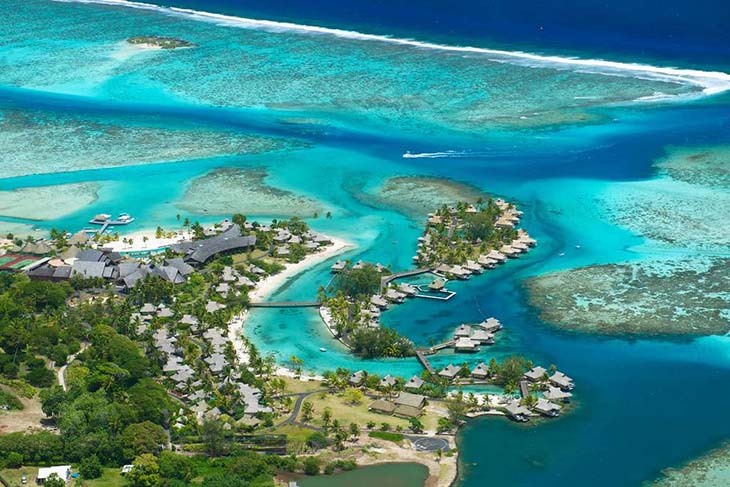 This resort is a fair stretch away from the main regions of Tahiti and Bora Bora, its closest neighbours. However the accommodations savings make up for the extra flight costs. Once again the best returns, the Maldives in its exquisite natural beauty has the best of the best in overwater living. With 106 villas over the water this resort is the second largest overwater resort complex and has luxury to match. Each villa is a size easily comfortable for the average traveller and there are more than enough restaurants to satisfy your hunger while you explore the area. Low season prices start at US$392 and high season prices add on another US$100. Honduras has beautiful views over the sea with seas best suited to adventurous divers. This overwater bungalow get away is perfect for adventure seekers with a passion for diving. Bundle packages with this resort gets you access to scuba-diving gear, two boat journeys a day and unlimited shore diving, which all adds up to fantastic value in a beautiful area. Prices here start at US$390 for off peak and US$452 for peak times. Peak times are around the December to April period. When people think about South America, most aren’t thinking about resort living over the water. However the St. George’s Caye Resort is a great, cheap way to stay over the water in a cool location. 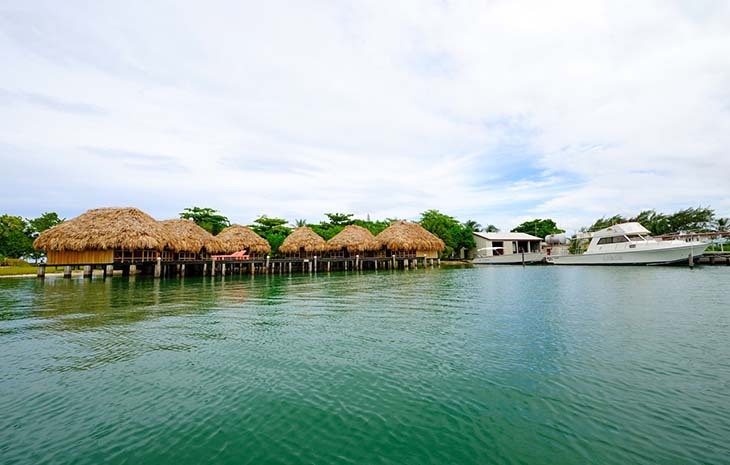 Located on the far Eastern coast of Belize, North of Honduras, this area offers picturesque views over the water for a fraction of the cost of other more expensive areas. Prices stay at around US$380 yearly, with the best time to travel being around December through to February. Another great and unusually cheap resort in the Maldives, the Velidhu Island Resort has got beautiful and incredible views out over the water. In the low season this resort will put you back US$369 and in peak times will be around US$521. The best times to travel are around May to October. The pricing here includes hotel breakfast and dinner each day. Probably the least luxurious of the resorts that we have listed, the Te Tiare Beach Resort is only rated at 3 stars. This is probably due to the lack of activities to do on the island rather than the actual rooms themselves. The bungalows are spacious and overlook a serene and very clam lagoon in the South Pacific. During the low season expect to pay around US$359 and during peak times a slight increase to US$383. As the other resorts around Bora Bora, this resort has a peak time of around May to October.